Bathurst winning Holden Racing Team engineer Alistair McVean is shifting to Erebus Motorsport. 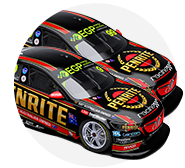 McVean will assume a newly-created role as head of engineering and take over from team General Manager Barry Ryan as star driver David Reynolds’ race engineer in the #9 Penrite Holden Commodore VF. McVean, regarded as one of the smartest engineers in pitlane and a strategy gun will be in his new position the week of the Supercheap Auto Bathurst 1000. 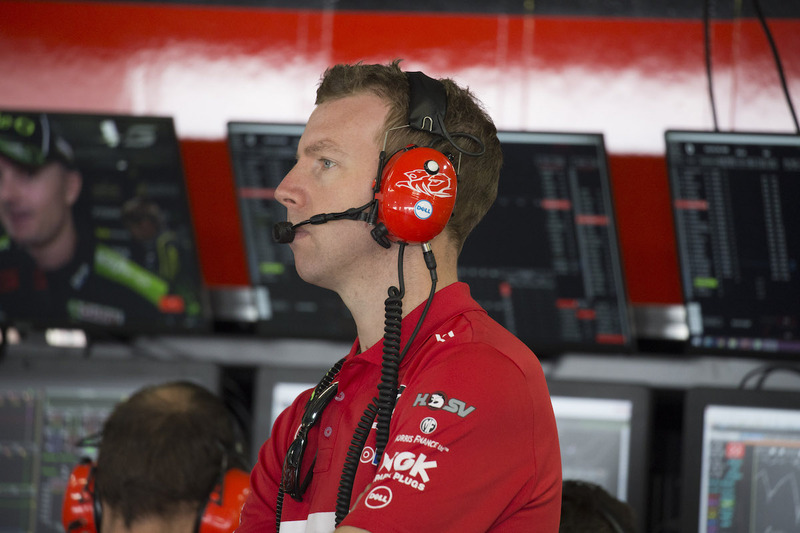 McVean was relieved of his new role as HRT star driver James Courtney’s race engineer after the Woodstock Winton SuperSprint back in May and had not been attending races. He was due to return to the HRT pit bunker for the three-round Pirtek Enduro Cup in a strategy role, but his absence at the Wilson Security Sandown 500 publicly signalled his impending change of employer. McVean is currently understood to be on gardening leave. He has never worked for any organisation other than Walkinshaw Racing in his Supercars career, joining from Monash University and working with Mark Skaife, Todd Kelly, Garth Tander, Will Davison and Courtney. He engineered Rick Kelly at the HSV Dealer Team in 2008 in his single season outside HRT. McVean co-engineered the Bathurst-winning HRT entry in 2009 with Mathew Nilsson was and lead engineer for the team’s 2011 win. Blake Smith, who was removed as Garth Tander’s engineer at the same time as McVean was shuffled aside, left the team immediately. He is expected to bob up as the engineer of the Simona de Silvestro/Renee Gracie Supercheap Auto Bathurst 1000 wildcard entry. McVean will join a team where he will find several familiar faces that are also ex-Walkinshaw Racing, including team manager/crew chief Joe Sasso. Nilsson, now WR business development manager also works for the team on race weekend’s engineering the #4 Commodore driven by Shae Davies. McVean will find the Erebus Commodores relatively familiar as they are Walkinshaw Racing-built cars, although they are now heading along a separate development path. McVean will also now play a key role in in plans for Erebus to start building its own Commodores. Hiring McVean is the next step in a complete overhaul of the Betty Klimenko-owned team, which started with Reynolds taking over from Will Davison in the cockpit, its decision to move from the Gold Coast to Melbourne, the swap from Mercedes-Benz to Holden and the hiring of a virtually all-new and inexperienced crew. Erebus has now also moved from a small and crowded shop in Moorabbin to Dandenong and completed the purchase of the #4 Commodore from the family of former team driver Aaren Russell, who split from the organisation along with sponsor plus Fitness after the Castrol Edge Townsville 400. Ryan has been performing double duties as Reynolds’ engineer since veteran Campbell Little exited the team in May. Italian newcomer Mirko DeRosa will continue as Reynolds’ data engineer.